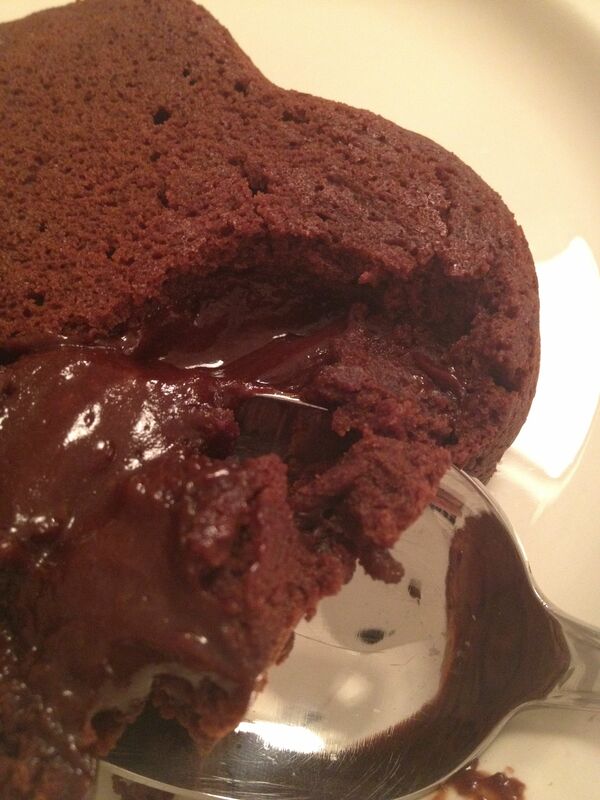 If I had to pick the easiest, most universally crowd-pleasing dessert in my repertoire, it would hands-down be these molten chocolate cakes. 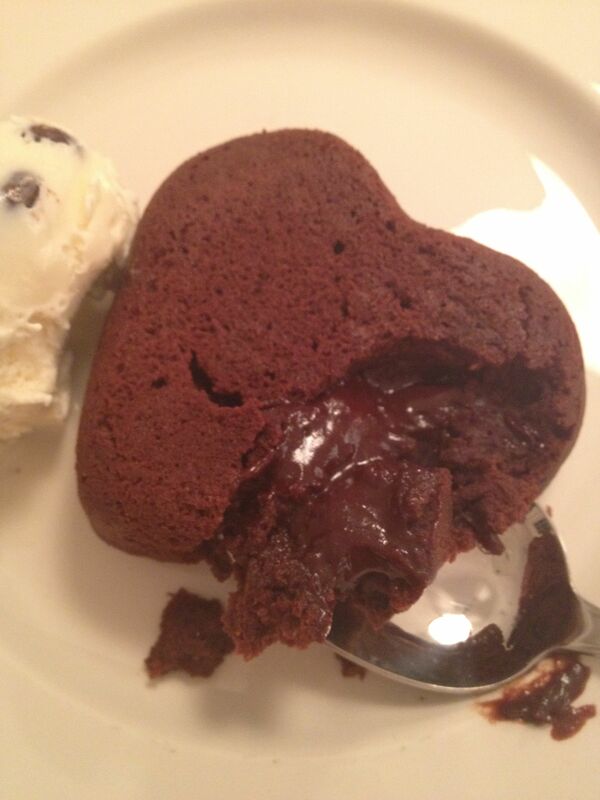 They take only minutes to make, can be made well ahead of time, and never fail to elicit “oohs” and “ahhs” from diners of all ages when the magic molten chocolate centers are discovered. If you happen to have a supply of chocolate or chocolate chips on hand (does anyone not?? 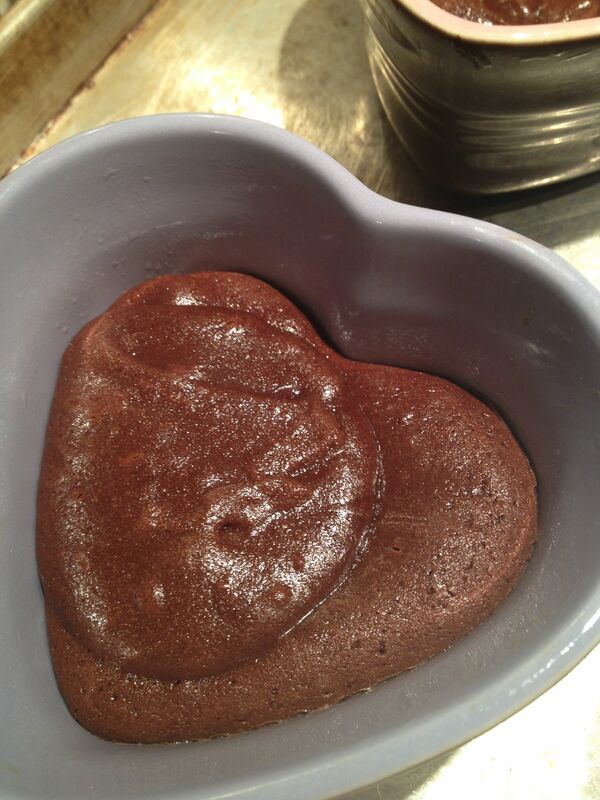 ), you most likely have all the ingredients necessary to make these for Valentine’s dinner tonight. 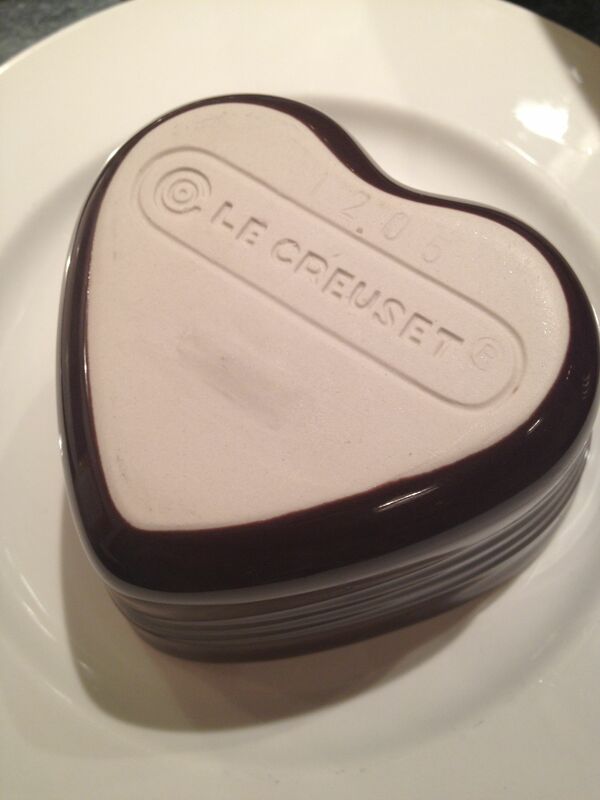 In a pinch, any type of semisweet or bittersweet chocolate will do – chips, baking bars, secret-stash candy bars. I typically use either Ghirardelli 60% cacao bittersweet chocolate chips or chopped Valrhona bittersweet chocolate. 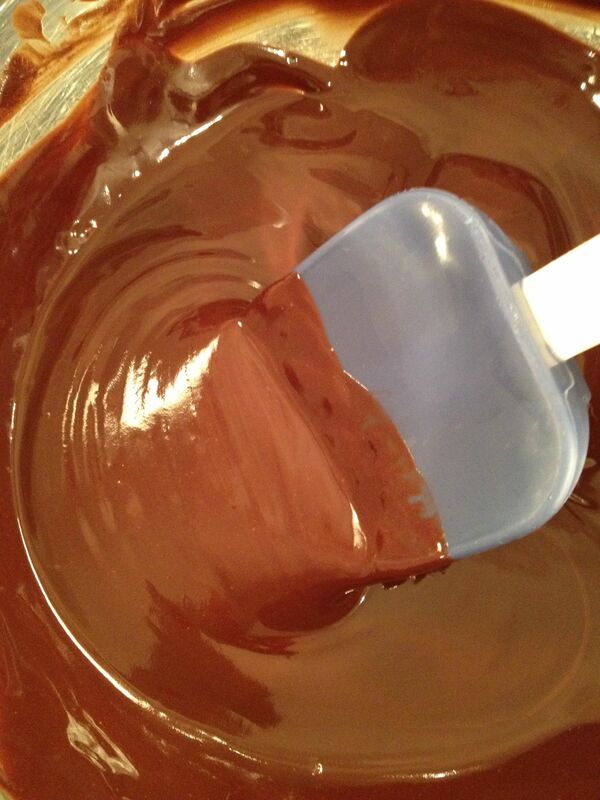 If you’re chopping chocolate, a serrated knife makes it a little easier. I love the ease of the bittersweet chocolate chips; semisweet chips will work as well, but the cakes won’t have the same intense chocolate hit as with the bittersweet chocolate. Makes 4 cakes; recipe can be doubled. 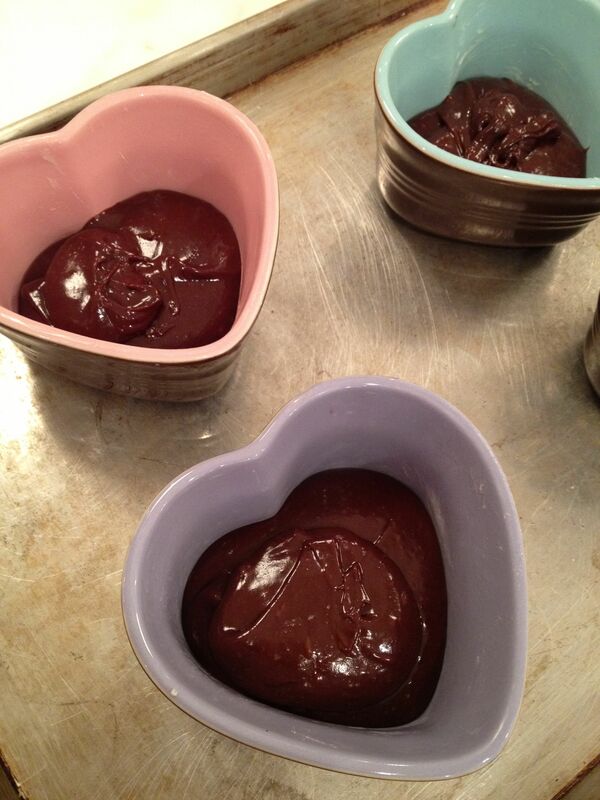 Batter can be made up to 2 days ahead and baked just before serving. Heat oven to 400ºF. 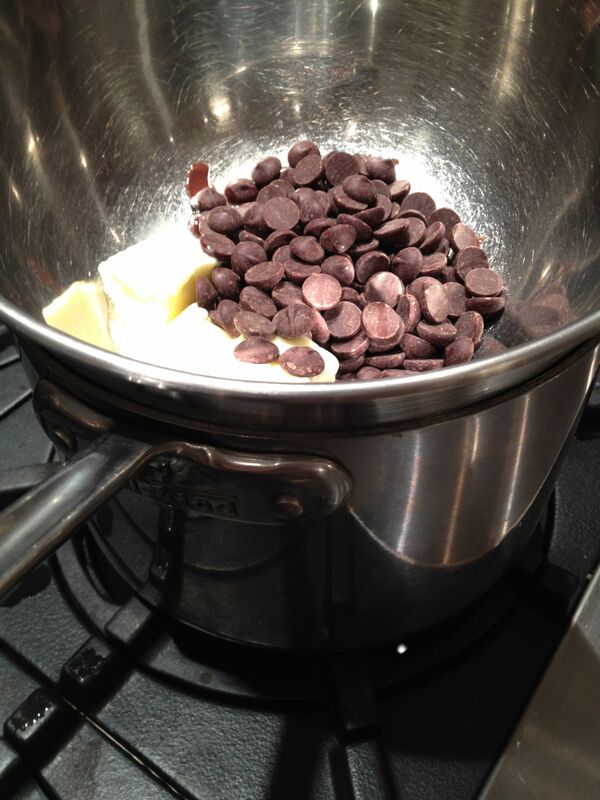 In the top of a double boiler or bowl set over (not in) hot water, combine chocolate, butter and sugar until just melted; whisk smooth. 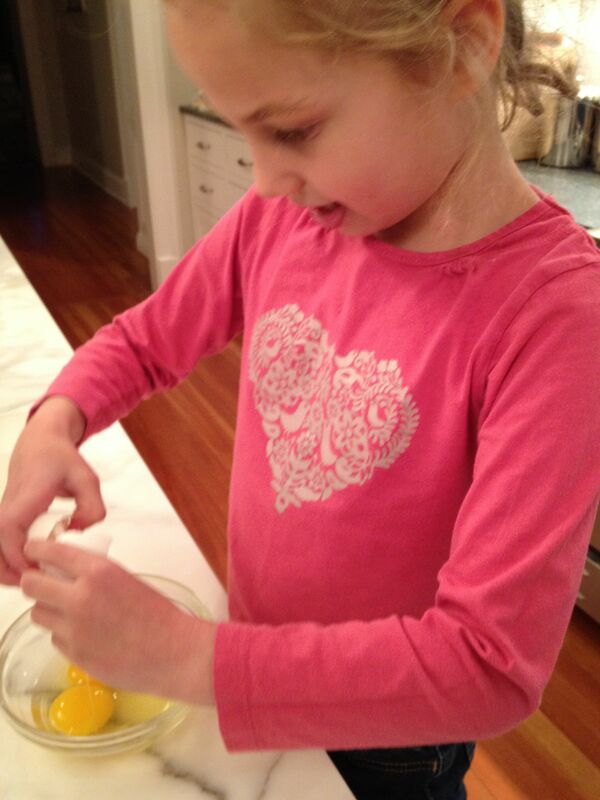 In a separate bowl (especially if a 7-yr-old is helping you), crack eggs and whisk. 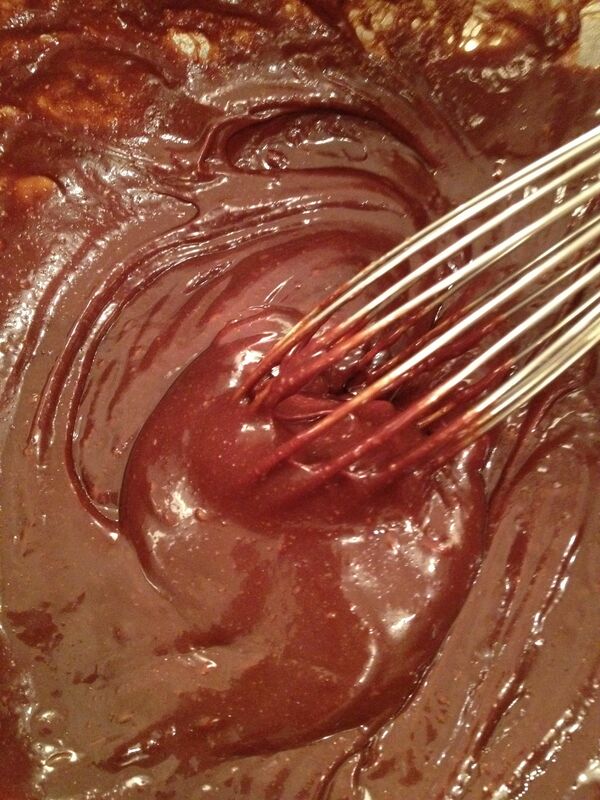 Add beaten eggs to cooled chocolate mixture and whisk until smooth. 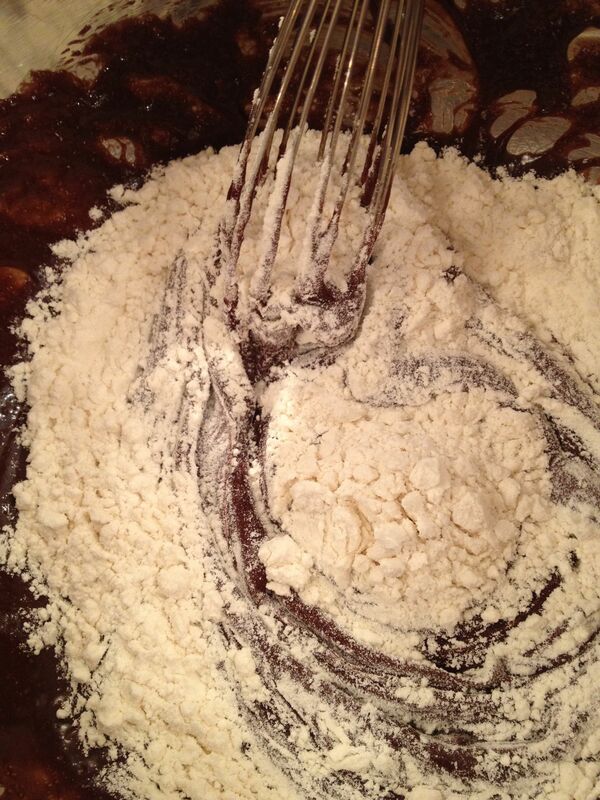 Add flour and whisk to incorporate. With a paring knife, cut around edges of cakes to help them release from the ramekins. Now for the tricky part: inverting the cakes onto serving plates. (Tricky because the ramekins are very hot.) I’ve found that wearing rubber gloves is a good way to protect your hands but still provide a good grip on the ramekins. This entry was posted in Desserts, Holidays and tagged bittersweet chocolate, Food, molten chocolate cakes, Valentine's Day desserts, warm chocolate cakes by subeeskitchen. Bookmark the permalink. My mouth is watering!! 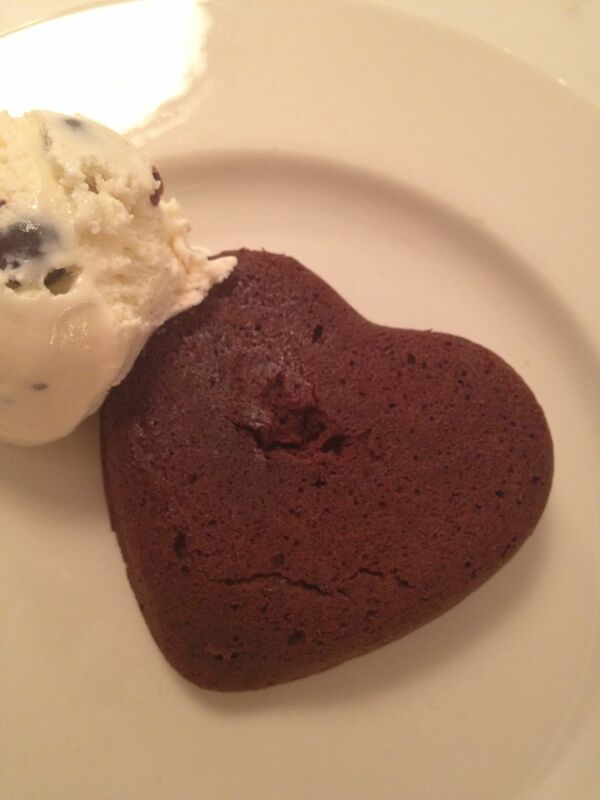 If I can get my act together, I will make these for the boys tonight…thanks for the easy but scrumptious Valentine’s dessert idea. LOVE this one! I will be sure to make this soon. Your blog is awesome Sue!!! The information is great, simple and yummy all at the same time. I made these last night and they were delish! !